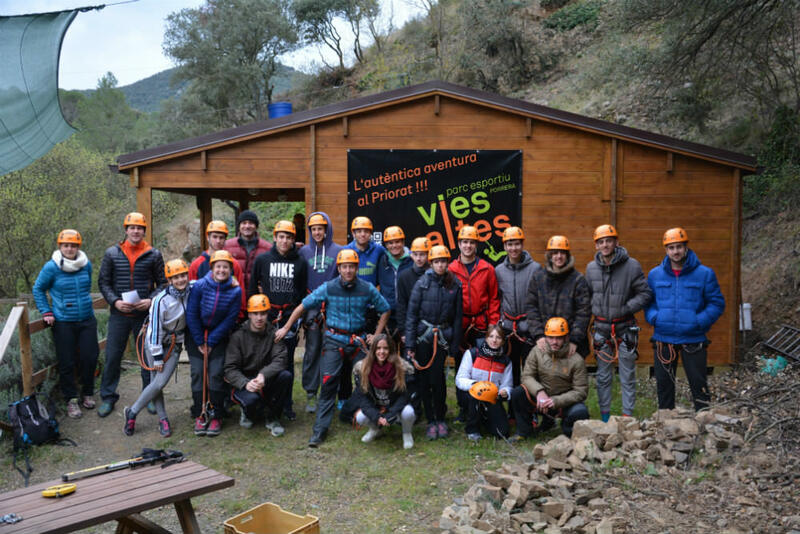 Vies Altes is a place where you can do sport in a natural environment. An adventure park where you can live an exciting journey, crossing the forest from tree to tree through air paths made of wood and rope. You’ll experience how birds and squirrels see the forest. 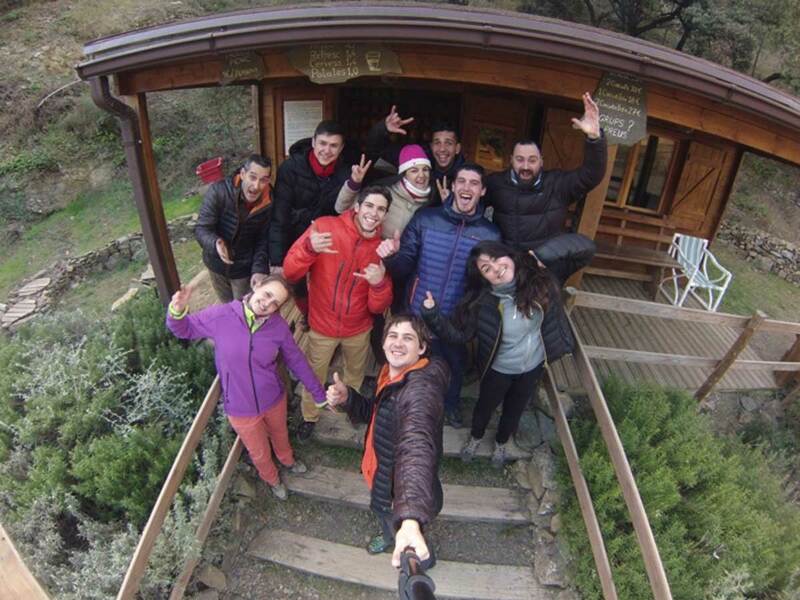 Is the circuit to begin the adventure and everyone should do first. It consists of some basic activities and is ready to give relevant explanations to all visitors who want to make a circuit. It is the basic circuit, the lowest difficulty, this combines low difficulty bridges with zip lines to begin to gain confidence in our park facilities. It consists of 15 games and 4 zip lines. This is the circuit of medium difficulty, designed for everyone. It consists of 10 games with the platforms located between 3 and 8 meters. This is the circuit for those who want a more demanding route. High difficulty, it consists of 16 games at a height that stretches exceeds nine meters. 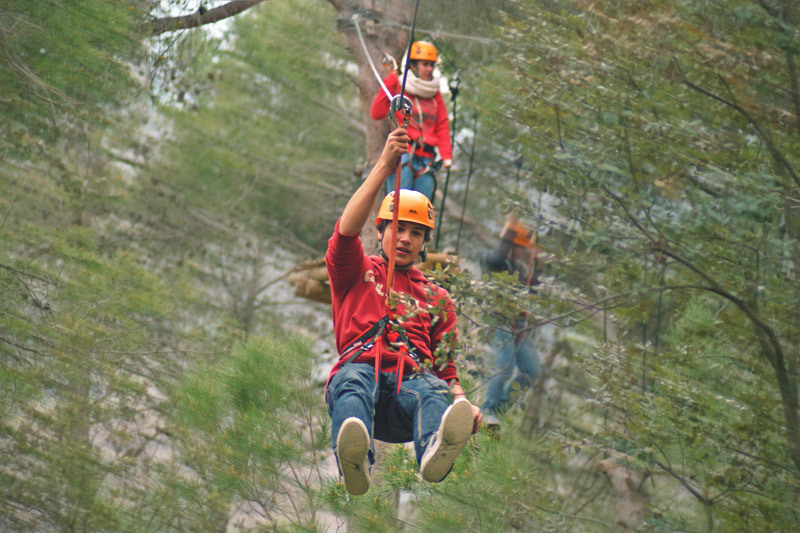 Zip lines unique in Catalonia, a series of eight super zip. Stunning very long and that make our star activity. Its length ranging from 80 to 180 meters and allow us to enjoy magnificent views of our land. Its height also exceptional from 18 to 40 meters make us live a great experience from the air. You’ve probably heard of American track. Really close to the ground is a series of obstacles that put your balance and strength to test! You can try different games in this area. Vies Altes is also equipped with an esplanade targets and different plots Archery, here you can practice your aim and we will teach you intuitive shooting. You can rate target and other goals more complicated in three dimensions. We advise and accompany you throughout the activity. Essential to book at least 24 hours in advance. We will confirm you by e-mail or telephone the booking of your adventure.